In Sudan, CSOs representing youth and women lack the capacity to advocate effectively on behalf of their constituency. This affects meaningful engagement between citizens and their respective local and regional governments. The five-year programme Every Voice Counts aims to strengthen the capacity of these organisations and boost their effective participation in governance processes in East and South Darfur. The project gives special attention to the inclusion of women and youth in decision-making processes. 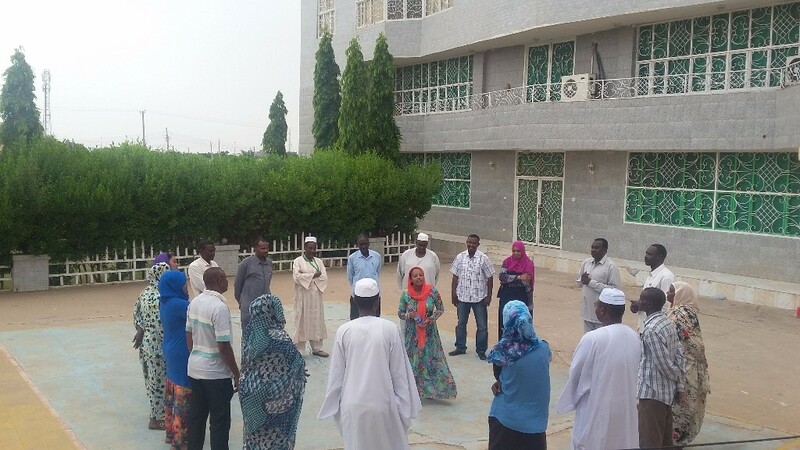 During a recent training mission to Khartoum, Sudan and Nyala, Darfur, The Hague Academy for Local Governance provided training on inclusive governance processes for CSOs representing youth and women in East and South Darfur. Representatives from over 20 CSO organisations participated in the training sessions which involved local co-trainers. These sessions followed a five-day course aimed at CSOs representing women and youth in the region. In this context, participants were introduced to the basic principles of good governance and planning for inclusion. The mission also introduced a gender analysis and social accountability and addressed how to identify and apply best practices for governance participatory processes. As part of the mission to ensure the sustainable community structures, the CSO representatives were also tasked with developing ‘action plans’ which will be monitored by the EVC Sudan team together with The Hague Academy. The action plans will allow the participants to apply directly the lessons learned in their context and have a clear impact. “In long run, EVC aims to create an environment where local authorities can make inclusive decisions and make sure that no one is left behind,” said Mr. Marmouri. The trainings and five-day course were developed following an interactive needs-assessment mission conducted in Sudan in March 2017. During that visit, thematic input, country and region-related information and best practices were analysed to ensure that the Academy’s practice-oriented programme would respond to the local needs in Darfur. CARE Netherlands selected The Hague Academy to lead the training programmes “because of its real-life experience with local governance and the knowledge and the experience acquired through its worldwide network of local government practitioners.” The Hague Academy will offer trainings and coaching for the first three years of the EVC programme. Every Voice Counts is a five-year, multi-annual initiative led by Care Netherlands. It is based on a strategic partnership with the Netherlands Ministry of Foreign Affairs and forms part of the Ministry’s “Dialogue and Dissent” policy project. To date, Every Voice Counts is active in Afghanistan, Burundi, Pakistan, Rwanda, Somalia and Sudan.